Are you on the lookout for a viable marketing and advertising plan that will rock your business and take it to unprecedented heights? We all know that today’s marketing world is all about digital marketing and the plus point of this dynamic trend is that it is very welcoming and accommodates any entrepreneur or business enthusiast to embrace this powerful tool for digital success. Considering your own DIY digital marketing plan will help you thrive in these competitive times and even save several thousands of dollars on your marketing budget. Here are 5 tips for digital success. With so much happening every day and the digital marketing world redefining itself in a matter of weeks or months, starting a blog is no big deal. If you want to start a blog all you need to do is set up a website using WordPress—you’ll get innumerable guidance on the internet on how to navigate your way around it. Convenient and free of cost, you will be able to acquire your domain, secure a host, install and manage the website perfectly well. Then with Google Analytics at your disposal you are fully equipped to rock the content marketing sphere. Once you have a website, you have to learn how to optimize it for SEO and increase conversions. Your website will either help you create a customer database by getting the basic information (name, email, contact number) or to advertise and successfully sell a product or service. Irrespective of whatever your objective is, before releasing any content onto your website you need to study your target market and the niche you operate in and precisely what kind of content you need to increase web traffic. Quality and engaging content is the key to a successful digital marketing strategy. You need to give every customer of yours the due importance that they need and deserve. Creating personalized messages and content will attract visitors to your website, and are most likely to convert to potential customers. Meeting the preferences of your target audience is pivotal to content success in 2016. Marketers therefore need to gather the relevant data and research to mold the data as per the customer profiles so that they are best suited to their interests. Data driven marketing has proved to increased ROI and more successfully achieve goals in the long run. Customers are exposed to an exodus of information, but when this content is tailored specifically for them you are sure to convert visitors to potential customers in no time. The power of social media is so great, more than you can fathom. Being active on social media and making your customers feel your online presence is like virtual networking. The relationships formed due to a positive online image can do wonders for your business. Engage your customers and give them the information they need, hassle-free. The public relations formed this way are a great way to reach out to expanding your reach in the online world. Follow journalists and respond to tweets and comment on their articles to convince them on what you have to offer. Sending out emails to your existing customers and potential ones too, is a super-efficient way to keep them engaged and maintain relationships with them. Email marketing slowly nurtures your subscribers and ultimately convinces them to become your regular customers. Free email marketing services like MailChimp will help you schedule your emails. Members on your email list that have opted to sign up for your website or be a part of your digital marketing campaign can be catered to via email marketing. Target audiences can be effectively reached out generating favorable results. Visuals have a totally different impact on the potential customers’ any day. It goes unsaid that visuals have the ability to convey messages in a concise and effective manner and can present the story comprehensively. Hence it is considered as one of the most effective online marketing tool. Once these info graphics go viral you will see how much traffic they attract and generate links. Free info graphic templates and tools are available online to pull off an impressive info graphic and paint a brand and company image you have been dying to portray. It’s all about how much efforts you put in as a digital marketer for your company. 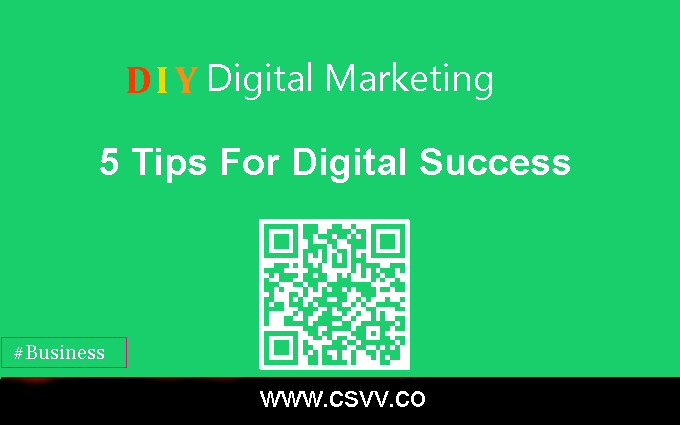 These DIY tips are sure to guarantee you digital success in no time and that too without being heavy on your pockets. Henry Kingston is a passionate blogger, taken up writing as an obsession. He has written on various topics such as Finance, Health, Technology and Lifestyle and currently his writings are inclined towards different other aspects of life. You can follow him on Twitter for more updates.